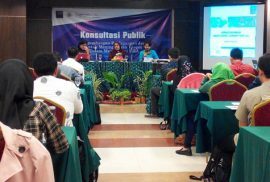 Pusat Studi Perdagangan Dunia (PSPD) bekerjasama dengan Kementerian Perdagangan Republik Indonesia pada hari kamis tanggal 30 April 2015 mengadakan konsultasi publik mengenai pengembangan perdagangan jasa untuk meningkatkan eksport dalam menghadapi MEA (Masyarakat Economi ASEAN). 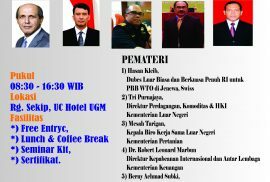 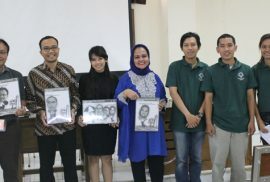 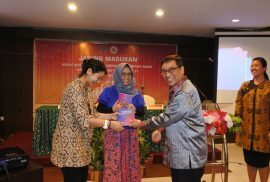 Acara dimulai oleh Yuki Nur P. sebagai master of ceremony dilanjutkan dengan sambutan dari Ketua PSPD, Poppy S. Winanti Ph.D.
Pada hari Sabtu, 31 Mei 2014, Pusat Studi Perdagangan Dunia dan World Trade Model Community UGM menyelenggarakan Seminar Nasional yang bertema “Peran UU Perdagangan Terhadap Kepentingan Nasional” di R. 531 Fakultas Hukum Universitas Gadjah Mada. 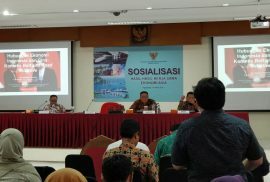 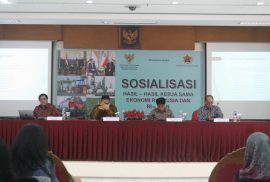 The topic elaborates Indonesia’s current policies and debates on competitiveness as to chart future trends and challenges faced by Indonesia’s policy-makers, business players, community leaders, academic scholars, social activists and other relevant stakeholders in developing the nation’s competitiveness. 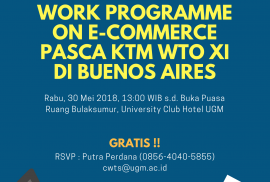 The topic elaborates dynamics in world trade relations as it affects to countries capacity in capitalizing and developing their competitiveness in trade and other international economic areas. 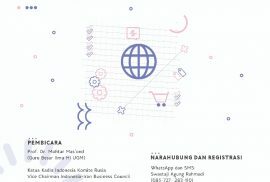 The current trade system under WTO offers particular features which in turn help shape the way competition among nations in trade is conducted. 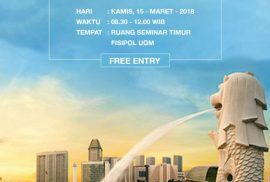 The topic elaborates international comparative perspectives and experiences on the issues of competitiveness as they are contributive to the Indonesian ones. 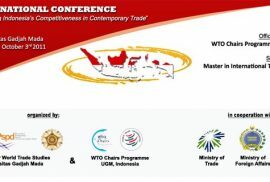 The clustered topics follow afterwards as to deepen competitiveness challenges faced by Indonesia’s trade sectors.